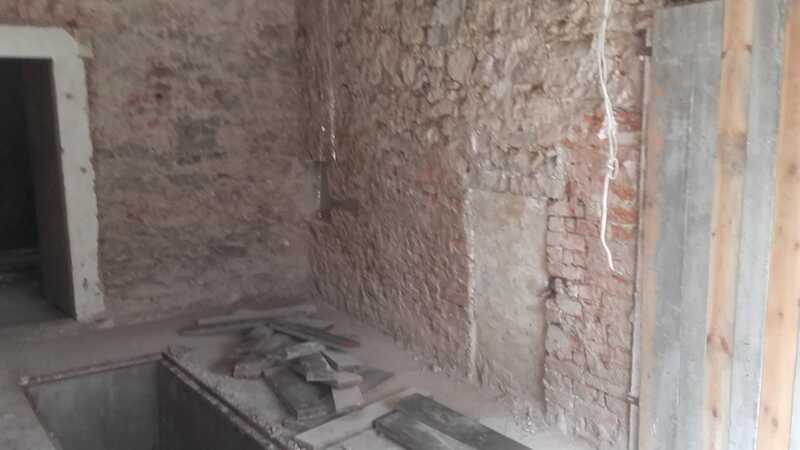 During the renovation of ‘Villa Marleen’. All floors have now broken out. 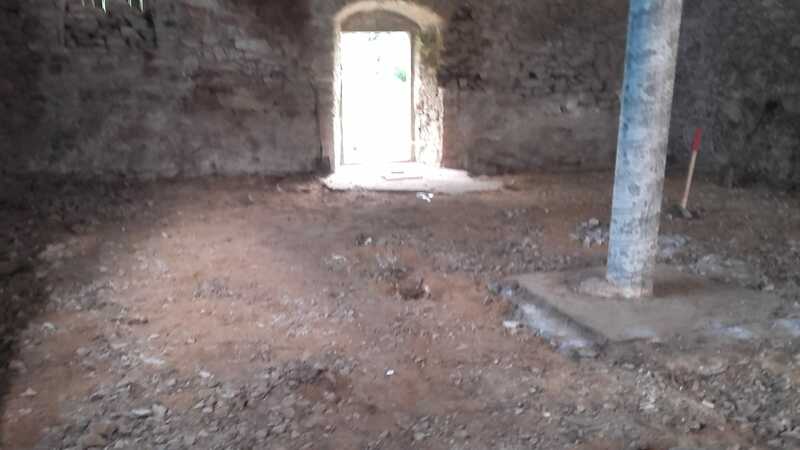 And then you sometimes come across some beautiful original stone floors, which stones we will definitely reuse later. 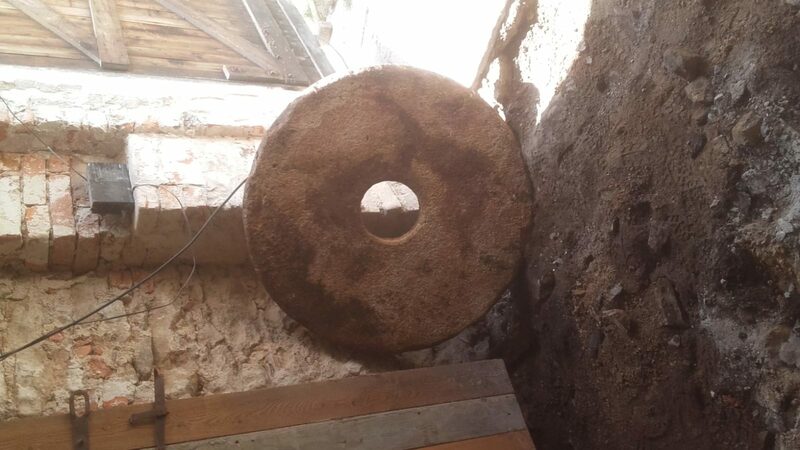 An old millstone also came from under the concrete. A special meeting with a grandchild of the former owner. In his possession a painting (see photo). This is how the house and the stables used to look. A former Mill house, built in 1708 by the Count of Schaffgotsch. The water mill provided the hamlet, which at the time consisted of 7 houses, of “electricity”. 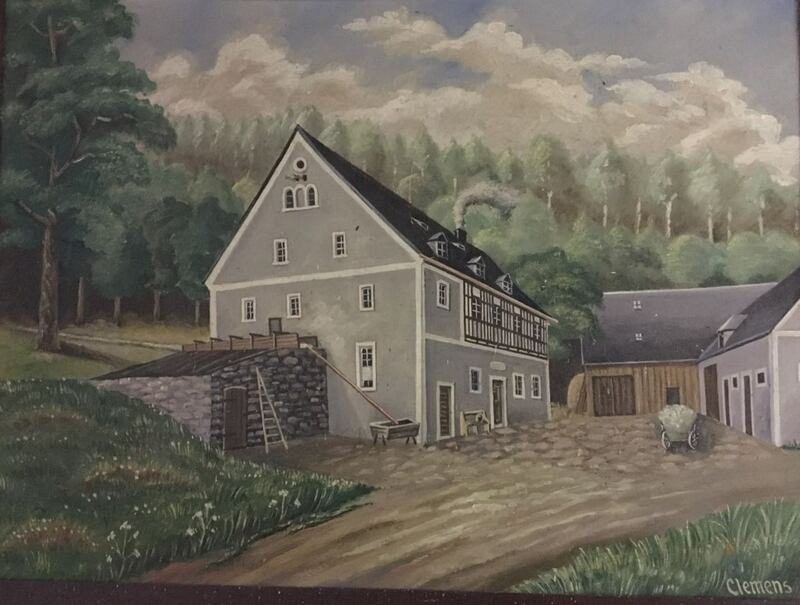 Initially, the water mill was used as a power source for irrigating the land, in later times water power was used to grind grain, saw wood or press oil. And then (after 1885) the light was seen. Hidden treasures behind old stucco layers. An old niche and the small door probably gave access to the old (bread) oven behind it.